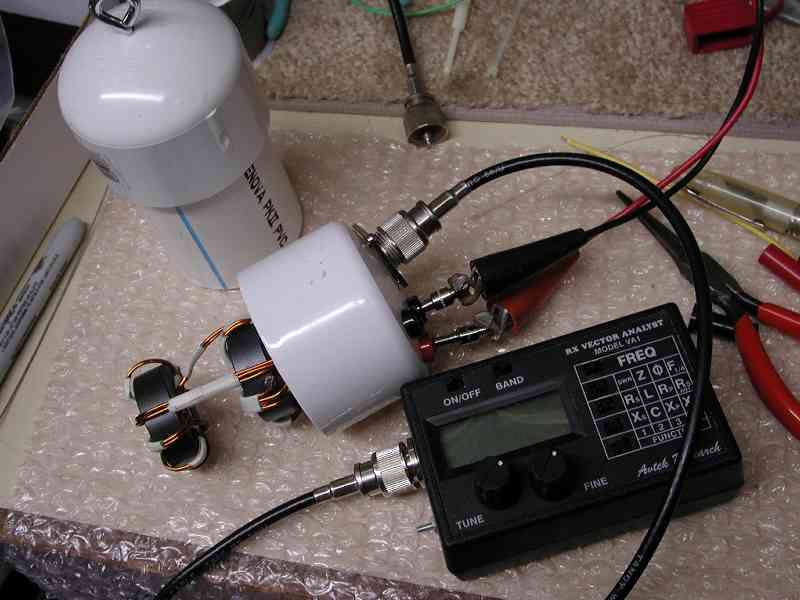 The first TRB I built is shown in the photos below. I wound it with four quadrifilar turns and 8 bifilar turns. 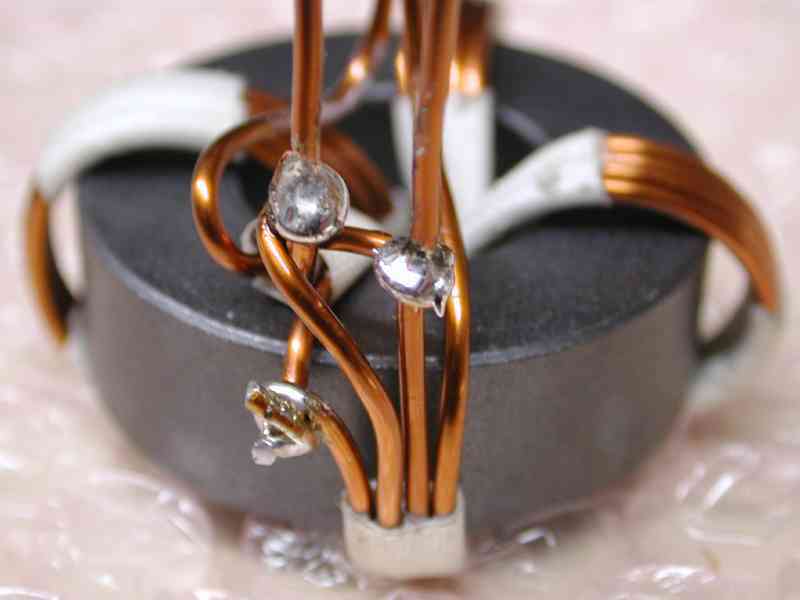 When bending the wires, avoid any more bending than necessary as it work hardens the wire and makes the process harder. Tighten up the turns against the core as best you can. The way I did it is to loop the next turn through the core before tightening the loop, rather like a snake loosely winding through and then tightening turn by turn. Avoid bending the wire back and forth. 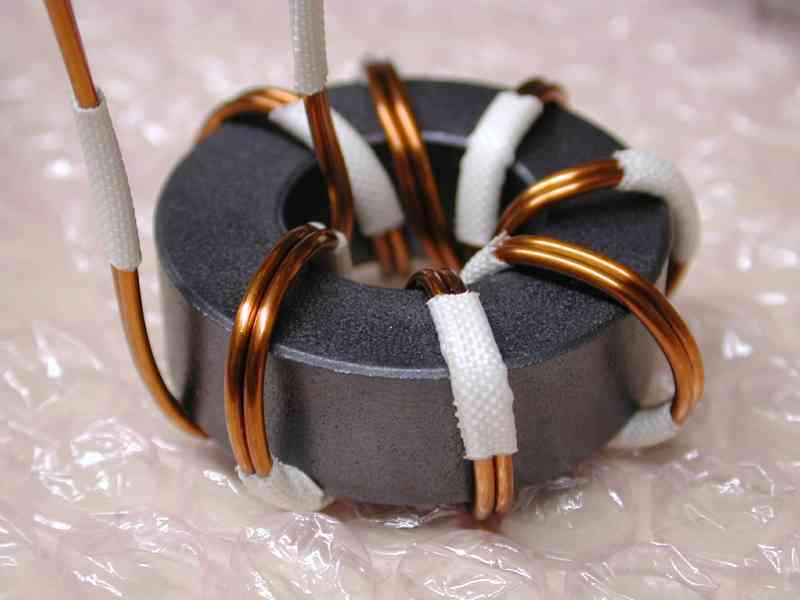 Imagine a snake making coils through the core and tightening after the next turn is around the core. From lower right toward left the wires are 1,3,5,7. Wire 3 connects to wire 8 in the upper right and continues for the 12 ohm output. The lower left connection is wire 7 to wire 2. That connection appears to need a bit more solder. 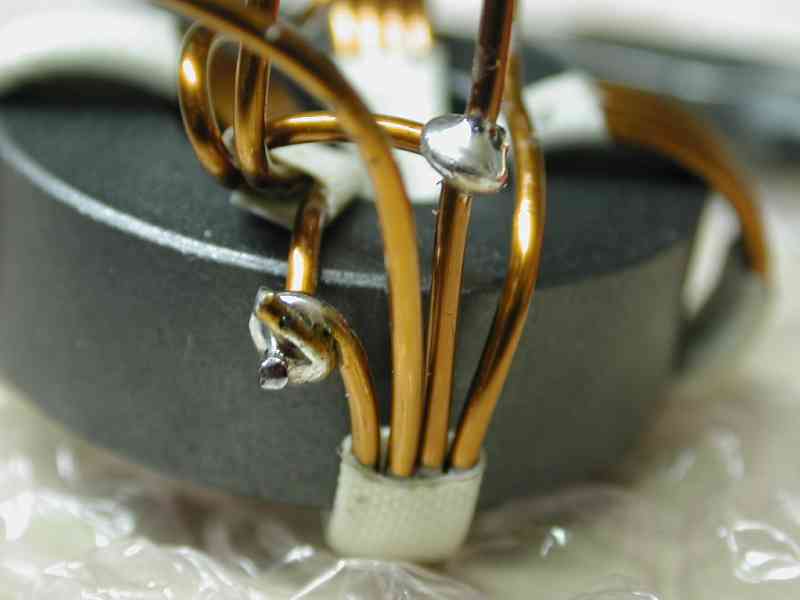 Get the enamel completely off the joints to facilitate good solder joints. The third connection (upper left) connects wire 5 to wire 4 and on out to the 25 ohm output. Combined Baluns. Upper righ wire pair is input. Next 3 wires down, top down, are common between baluns, which curves back and connects over the center of the core. Next down is the 1:1 50 ohm line between baluns with the tap heading to the 50 ohm banana jack. Next downward are the 25 ohm and the 12 ohm outputs heading off toward the right where they will connect to the banana jacks. Ready for Installation. 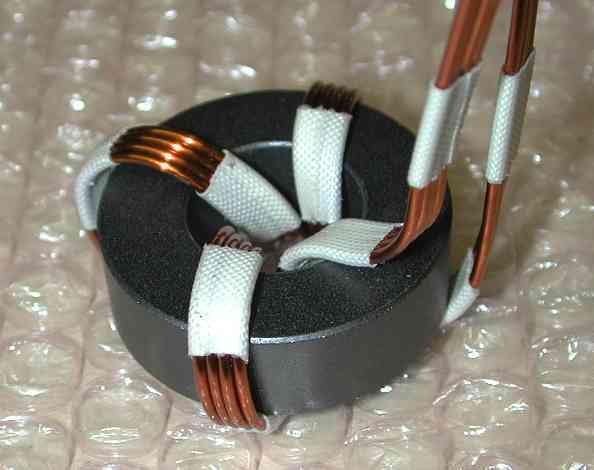 Wires are formed to meet the connections in the endcap. 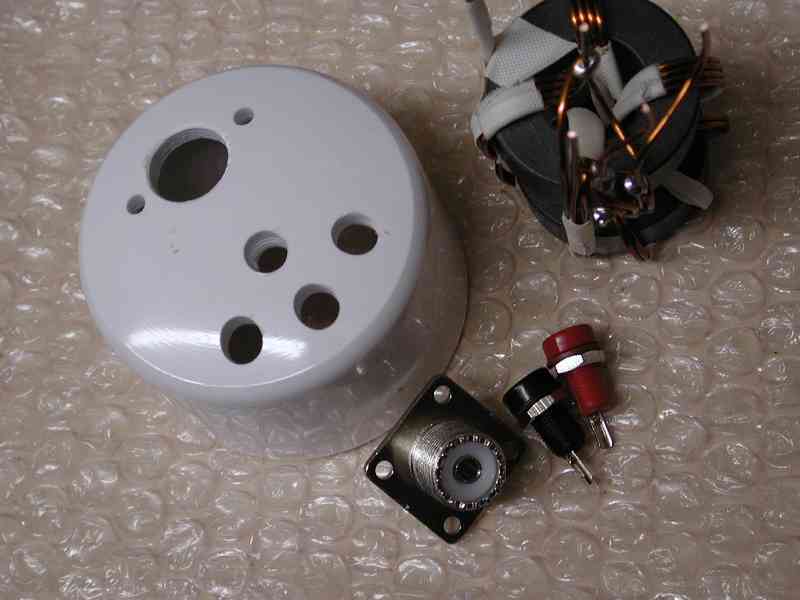 Endcap from the inside, connectors installed. Completed Endcap. Input is SO239 near the top. Upper black Banana Jack is Output Common. Lower Left black jack is 50 ohms. Center red is 25 ohms. Right red is 12 ohms. Straighten and cut 2 lengths of #16 Thermaleze wire 26 inches long. Straighten and cut 4 lengths of #16 Thermaleze wire 15 inches long. 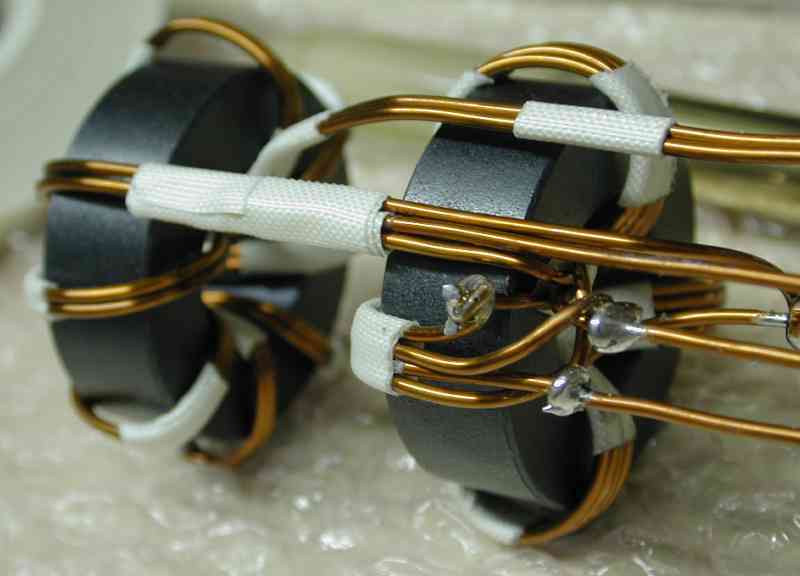 Tape a pair of the wires tightly together using the fiberglass tape. Wind the pair of wires on one of the cores, making 8 turns through the center. Evently space the windings. 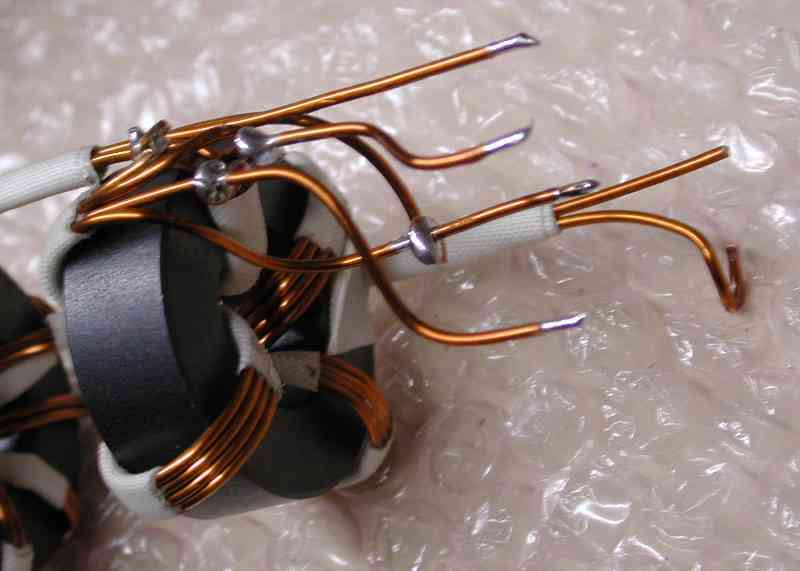 Wind the four conductor pack through the other core 4 times. Space the windings out. Connect per the schematic and photos. Make sure the enamel is scraped from the wire where connections are made. Good quality solder joints are important. Mark and Drill Holes in the PVC Cap. 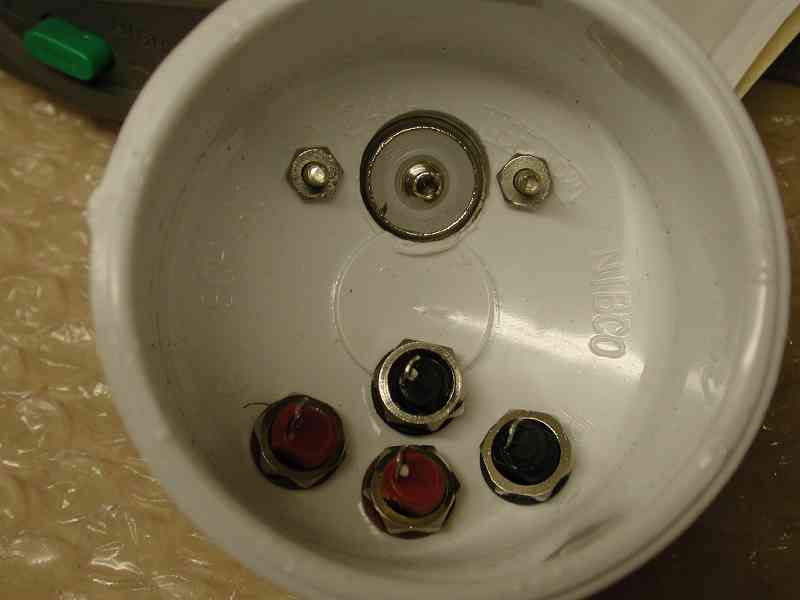 Install Connectors into the PVC Cap. Wire the Balun to the Connectors. Drill one hole in the second cap to fit the screw eye. Cement the short pipe into the cap with the screw eye. 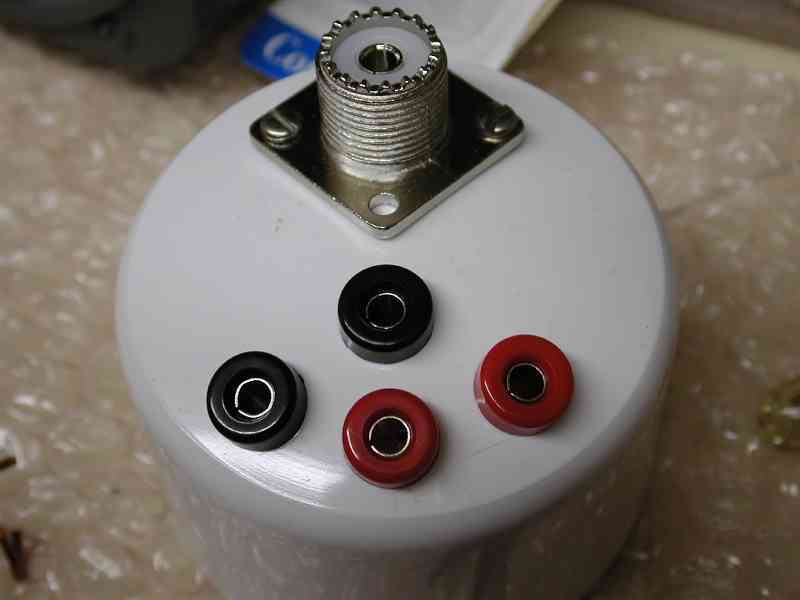 Assemble the endcap with connectors onto the tube. Drill a pilot hole for the self tapping screw. Choose the location so the extra screw sticking into the interior will not be near the internal components. Install the self tapping screw. This can be removed when access for service is required.